This article is the fifth in an occasional series profiling candidates running for various offices and how their election might impact our communities. 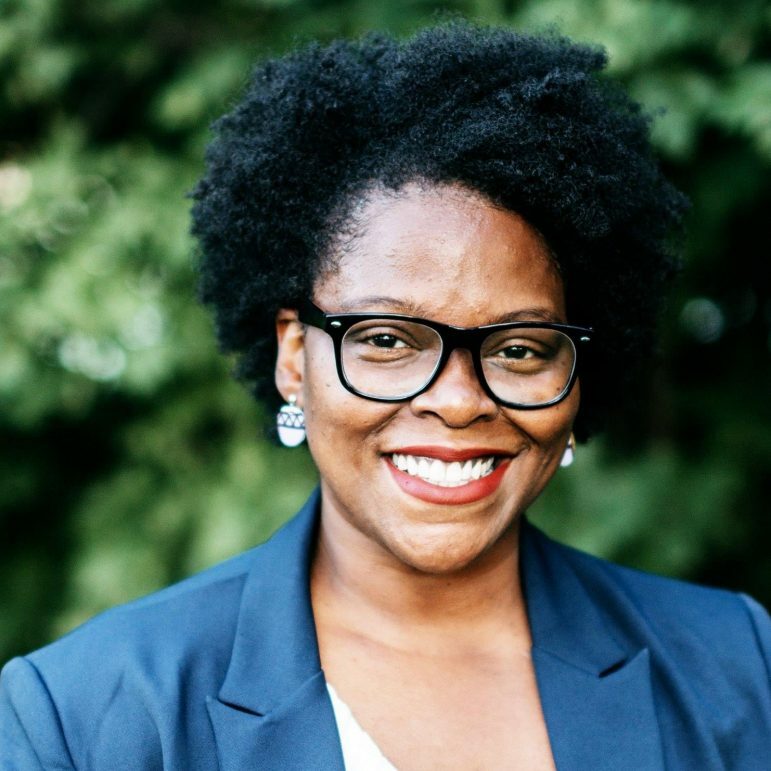 Angela Conley, vying for Hennepin County Board of Commissioners in District 4, characterizes a groundswell of women of color intent on upsetting Hennepin County’s status quo. Conley, Irene Fernando (District 2) and LaDonna Redmond (District 3) have all weighed in, standing on a principle of fundamental change. Conley made an impressive showing in the primaries. Of the 35,000 votes cast, just 1,146 ballots separated her and McLaughlin, with Conley seizing 42 percent. Conley spoke with the MSR in February detailing the difference she makes as a candidate who is impacted by the problems she plans to solve. This week, she addresses issues she believes are paramount to effecting change. What is the most important thing you want to accomplish when you get in office? It’s important to understand that we are in a public health crisis when it comes to housing and shelter shortages. If elected, I will be sworn in during January, one of the coldest months of the year. While homelessness is life-threatening all year ‘round, the winter months present even more dangers. Saving lives requires an immediate investment. My first priorities will be to increase shelter capacity through additional beds and insisting upon adequate staffing of existing shelters. We need to expand the services offered at shelters, too — on-site supports like career counseling, mental health and substance abuse treatment, and transitional coaching need to be elements of our shelters. What is the most controversial issue you think you’ll have to deal with when you get in office, and how are you going to deal with it? Southwest Light Rail Transit has been, and will continue to be, a controversial issue, largely because of the cost. It’s important to understand that this light rail extension has come about because of a broad coalition of actors — it is not a one-man show. Many mayors, state legislators, and city councilmembers have worked diligently on this project, and their efforts should not go unnoticed. I look forward to working together with these partners who have already spent so much time and energy bringing SWLRT to fruition. SWLRT is a project that will continue regardless of the election’s outcome; my role as commissioner will be to ensure that the needs of District 4 residents are represented in the execution of the project. As someone who was transit-dependent for years, I look forward to bringing my perspectives to this and other transit projects. How do we get money out of politics, e.g., limiting campaign financing? We have specific contribution limits for the county commissioner race, and I think that’s a good thing for our democracy. Access to wealth is something that people who look like me don’t always have, and that discourages many from running for elected office. It costs money to campaign, and these limits help to level the playing field to a limited degree. While we have these guidelines for individuals, we also allow for special interest PACs to spend on these races. These groups face much less scrutiny in terms of their spending and donor transparency, and that should change. What do you say to people who hate politicians? I understand the sentiment. There is a prevailing mistrust of politicians (often for good reason), and that gives true public servants like me a bad name. Some of us are doing this work to serve — to help people meet their most basic needs. In my view, the sole purpose of elected leadership is to provide people with the services they need to live full and healthy lives. To those people who say they hate politicians, I ask them to have faith there is good work to be done through politics. Watch what I do when in office, and hold me to account. I come from Phillips, and I’m not disconnected from the realities of life in Hennepin County. Living here is tough for a lot of people. My mission as county commissioner will be to work for the common good, and my actions will show that. What’s your favorite thing/story about your district? I am thrilled by the opening of All Square in the 4th District on Minnehaha and 41st Street. This restaurant is a civil rights social enterprise focused on the professional development of formerly incarcerated people. This kind of hybrid enterprise — an entrepreneurial company with a strong social mission — gives me so much hope. Their grand opening on September 8 was an affirmation of the need for reentry programs that believe in second chances. I can’t wait to see them change lives. Upon my election, we will have representation in a level of government that is so significant for our daily lives. So many things we encounter — the transit system, the libraries our kids go to in the summer, corrections, and housing strategies — those all come from Hennepin County. Representation means that our voices will be part of the conversation at the highest levels. I want Hennepin County to reflect our needs and the needs of other ethnic groups. That’s why I want to create the first-ever Racial Equity Advisory Council. Having one of us at the table will mean that the community has a say in how the board addresses disparities, and that is essential. What elected officials (past or present) in the state do you most admire or serve as role models for you? Ramsey County Commissioner Toni Carter is a role model for me and so many others. She is the first Black woman in the state of Minnesota to be elected as a county commissioner. Her passion, drive, and commitment to community has been awe-inspiring to behold. Mayor Melvin Carter of Saint Paul, too, is absolutely brilliant in his role. I admire how he immediately got to work with innovative policy initiatives upon his swearing-in.